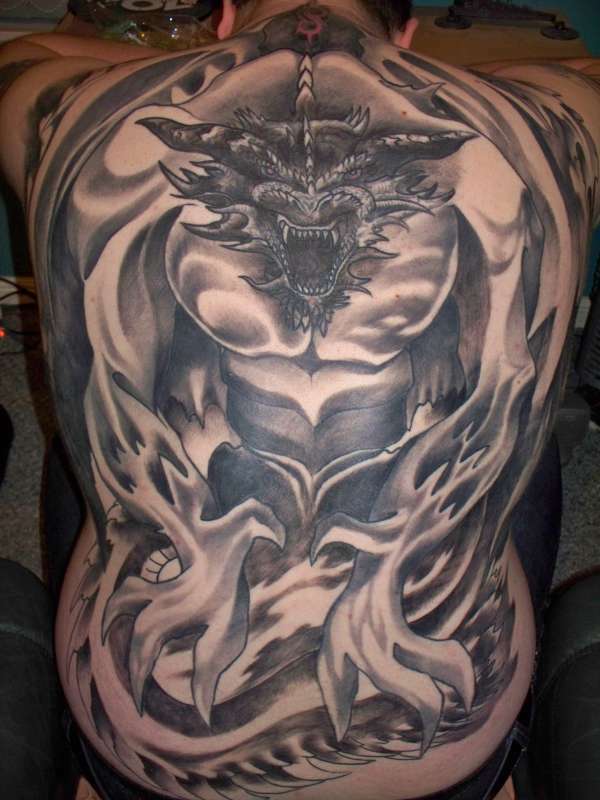 Originally had the dragon head then decided to get the body done around it. Got it in a tattooist in glasgow, done free hand by the tattooist. Took 6 sessions, around 2 hrs a piece so just over 12hrs.